Creating unique long lasting upholstered furniture. Whether it be a complete makeover of old furniture or creating a custom handmade sofa, MoMa always use the highest quality materials for the most unique long lasting pieces of furniture. Always creating an intemporal-contemporary style for a timeless design. All our components are eco-friendly, we use öeke-tex fabrics, Montreal Made Foam free of OVS, green guard water base glue, and wood certified FSC from the Canadian forest. By making long lasting furnitures with all the best eco-friendly products, we make sofas with the smallest écological footprint. Think global, buy local. Contemporary upholstered furniture manufacturer in Montreal since 1962. Our environmental commitment encompasses our production processes, sourcing of raw materials, comprehensive recycling program and final product that is Eco-conscious. Inspired by art, architecture and fashion, designs are original, stylish, and innovative. Every piece is made to order, by hand, locally, durably, passionately, respectfully. Refurbishing and repurposing antique and vintage furniture. We breathe new life with artisan paints. Située à Repentigny et desservant la grande région de Montréal, l’entreprise B.M. 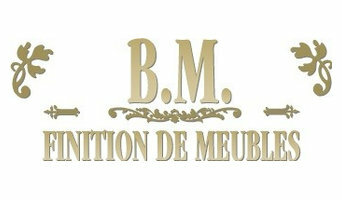 Finition de Meubles cumule plus de 35 années d’expérience dans le domaine de la restauration et de la transformation de mobilier de tout genre. Nous rénovons aussi bien les meubles contemporains que les mobiliers ancestraux. ARCO Rembourrage creates and restores custom upholstered furniture. You can choose the style, comfort, and fabric or leather ideal for your home decor. We are committed to providing the highest level of customer service and understanding the needs of each individual customer. Our goal is to build trust and long lasting relationships with our valued customers. We re-upholster your furniture with uncompromising dedication to “Old World” dedication and workmanship. We use only top quality materials. We replace your old seat foam with environmentally friendly high-density foam for long lasting comfort. 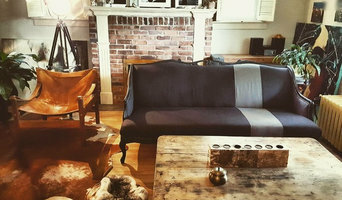 We offer upholstery services for your home furniture, office, waiting areas, lounges, dining halls, conference rooms and more. All stripes and center patterns are meticulously matched. Skirts are all pellon lined. 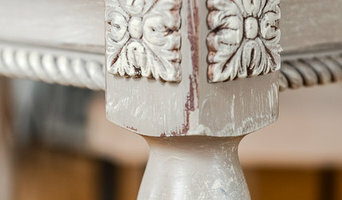 We have a passion for detail so that your newly re-upholstered furniture will give you many more years of pleasure. We also build Custom Furniture, from our large fabric and trim selection, from classical to the latest fashion. Come in and enjoy your visit. EDGE Dimension inc. is a company specialized in 3D visualization and interactive media. Our goal is to translate your ideas, projects and products into images that will facilitate the communication between you, your customers and your investors. Our products and services are the ideal tools to turn your future projects’ presentation in an enjoyable experience that the public will remember. Make the difference and forget the black and white schematics. Allow your customers to better immerse themselves in your projects. The use of our services will directly impact their comprehension. Save time and money with the 3D. EDGE allows you to modify, at will, the components of your projects until complete satisfaction is reached, allowing you to save valuable time. Re-upholstery/upholstery repair includes redoing/outfitting items like chairs and sofas with springs, padding and fabric coverings. This can also include adding fringe, piping, tufting or additional decorative elements to a furniture piece. They can also advise you about the pros and cons of different fabrics so you can choose the best type for the project in your Saint Henry home. Find Saint Henry furniture repair professionals on Houzz. Narrow your search in the Professionals section of the website to Saint Henry, OH furniture repair.